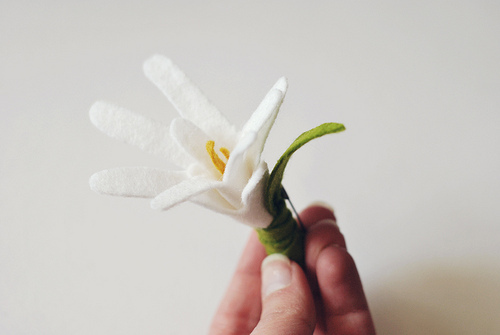 This brooch was intended for Easter, but I think it makes a perfect corsage for Mother's Day. 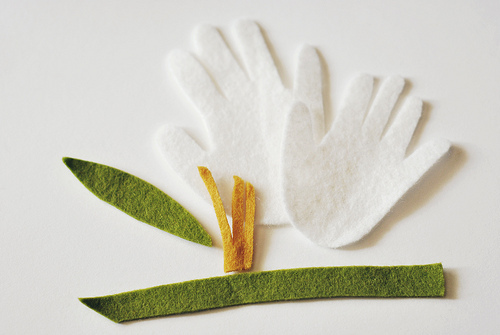 Not just because it is pretty, but because you make it with felt handprints. What a sweet gift from your little one's for Mother's Day. I bet grandma's would really like it too! You can see the tutorial over at Wild Olive. This is the best, I'm sure my mom would eat this up! Bookmarking it to make for Mother's Day. Thanks!! I am planning on doing it with my preschool kids!